Sublime Text has always been the blazing fast editor and still to this day, I feel it&apos;s faster than my current favorite VS Code. It&apos;s a solid workhorse, super fast, highly extensible, and can provide many of the same features VS Code does like autocomplete and now Git integration. Shout out in the comments if you&apos;re a Sublime Text user! 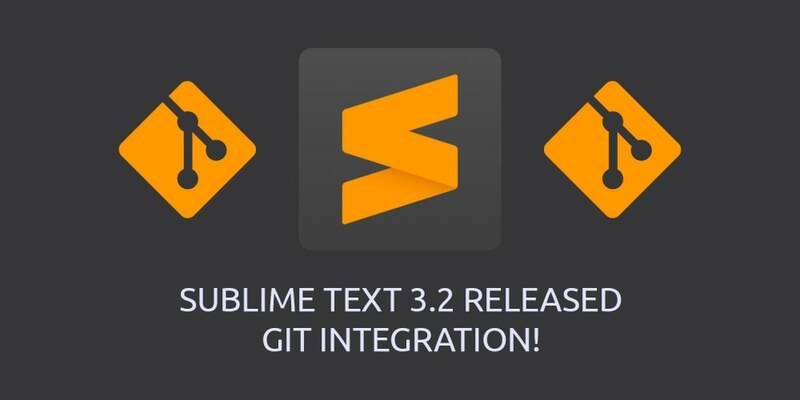 It&apos;s great to see Sublime Text 3.2 was announced yesterday. You can see the full announcement post here. I&apos;m excited to see Sublime Text adding more new features. Git integration! Sublime recently released a Git Client called Sublime Merge. As it&apos;s made from the same people that made Sublime Text, you can bet it&apos;s blazing fast, simple to use, and gets straight to business. Those that have been in VS Code have enjoyed the Git integration. I use it very often to see the files that were changed and it allows developers to use command line git less. There will be an icon to show the files that have changed. We are now able to see the number of commits that need to be pulled or pushed. Clicking on the number will open up Sublime Merge and allow us to stage this commit. We can see the files that changed, the lines that changed, and create our commit. We are able to see the added and removed lines since the last Git commit. We can see the green line for added lines and the red arrow shows removed lines. You can read the full changelog here. I&apos;ll add some of my favorites below.